Reading is one of my favorite things to do...second only to eating ice cream and watching Netflix. My coffee table and bookshelves are filled with books I've read and can't bare to part with; in addition to, books I'm waiting to devour. Here are three amazing books I highly recommend you read, if you're in need of a good laugh, inspiration or the energy and push to tackle the challenges that lay ahead. I love Mindy Kaling. She is my spirit animal, my best friend in my head, my sister from another mister. Her book just further reinforces why I adore her so. Not only does Mindy share her hilarious and glamorous celebrity adventures but she also shows us that she's normal person. 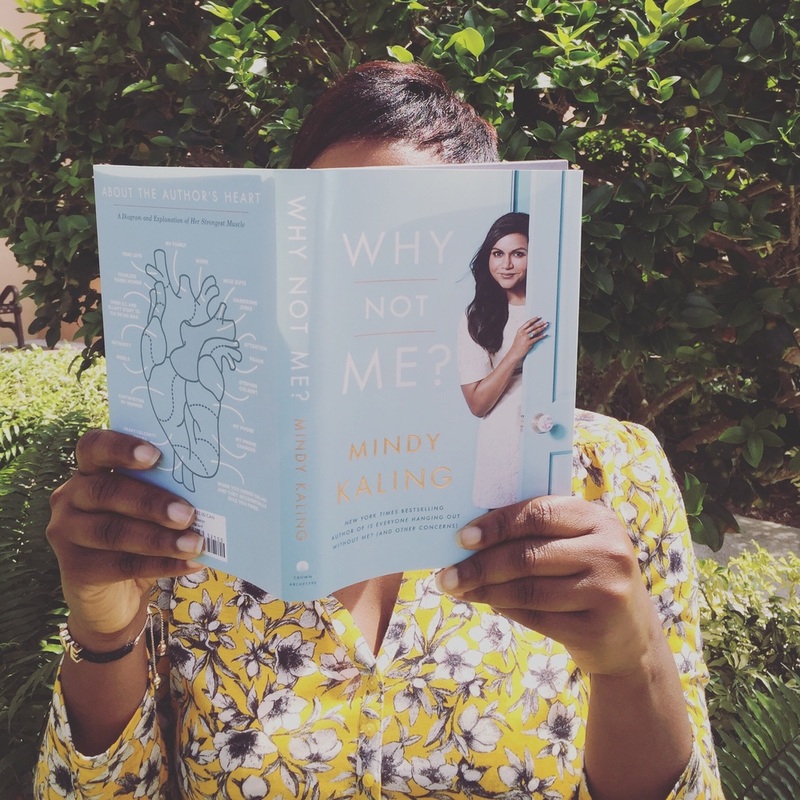 Just like you and me, Mindy is driven to succeed, talks about other people but not in a mean girl way...it's more of a character study or personality dissection. She has loved and lost and is proof that you can survive it all with hilarity. My favorite line from the book is lesson Mindy learned from Kim Kardashian "haters are just more people paying attention to you." Just like most of the feminine world, Elizabeth Gilbert’s Eat, Pray, Love affected me on a deeply profound level. It felt so comforting to read her journey of self discovery; the same struggle many women face everyday. I was starting my own struggle when I read the book. Elizabeth Gilbert's new book Big Magic has stirred similar feelings in my soul. Gilbert reminds us that creativity and inspiration speaks to all of us differently. And I'm so thankful to her for reminding me of this. The joy in being creative is the doing and having a profound appreciation for the journey. You don't have to be famous nor are you promised fame...you can just be. Most inspirational quote from this book is…"you don't need a permission slip to live a creative life." If you don't know Mary Spio, you need to get to know her. An accomplished rocket scientist and entrepreneur, Mary had filled this book with the lessons she learned throughout her journey. I read this book a couple months before I started my blog. When I finished it, I felt energized and ready to go after my dreams. Mary gives you the actionable, no nonsense advice needed to stop making excuses and take control of your life and destiny. My favorite gem from this book is "you can make excuses or you can make magic. It's your choice." Have you read any of these books? What are your currently reading? Share your reading list and thoughts in the comments.